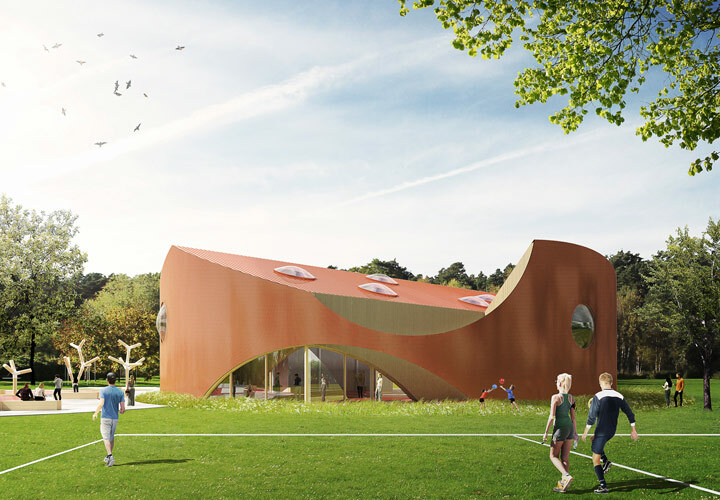 Reerslev Sports Centre is an ambitious building that will provide room for the local sports and cultural activities while being inspired by the local atmosphere and characteristics. 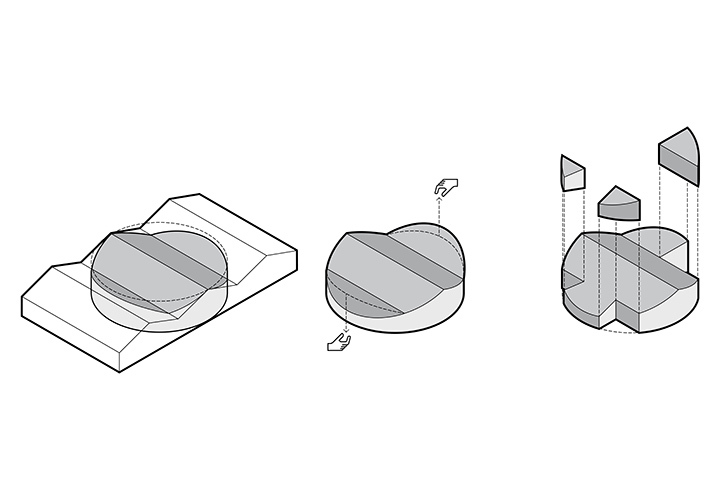 The project will become a modern gathering place characterized by its circular geometry and natural skylights. 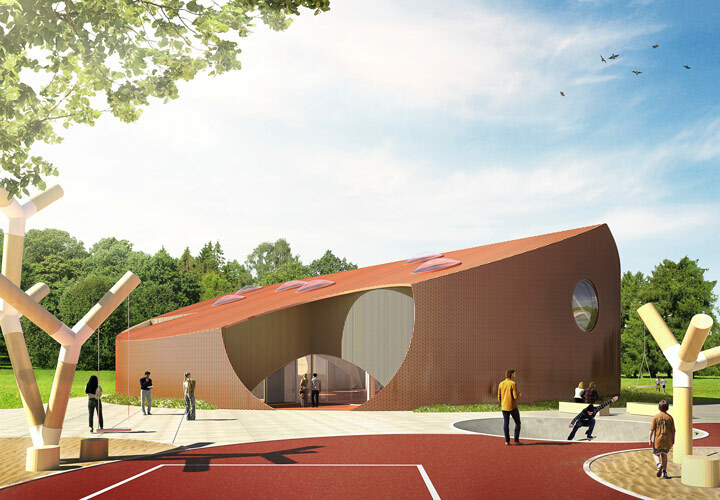 The circular building is situated on an open site, but near Reerslev School and a number of new outdoor areas. 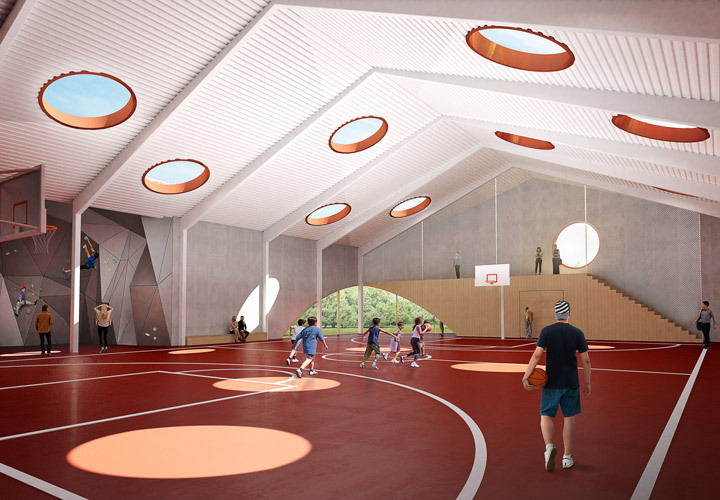 The distinctive roof and circular geometry allow for various activities placed in relation to the central sports floor. In this way, the central sports floor is surrounded by a series of functions such as an activity area, a balcony area, as well as a lounge, changing rooms, kitchenette and a storage room. Multiple cutouts in the building geometry provide appealing and sheltered outdoor terraces as well as two fitness areas in direct connection to the building, an area for street sports, ball games and running. You arrive on a terrace that is connected to the local school, while the other terraces connect to the soccer field and the surrounding landscape. The Danish foundation, Lokale og Anlægsfonden, has allocated money for the project.